VIDEO: GOP Lawmakers Likely to File Contempt of Congress Charges Against FBI and DOJ Officials -- And MAY JAIL THEM! VIDEO: GOP Lawmakers Likely to File Contempt of Congress Charges Against FBI and DOJ Officials — And MAY JAIL THEM! And Congress may call in Deputy Attorney General Rod Rosenstein and FBI Director Christopher Wray and detain them in the House jail. 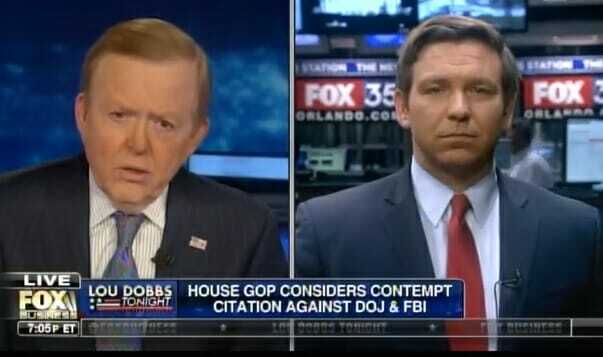 Rep. Ron DeSantis: I think what we have to do is use Congress’s inherent contempt authority that was done for 175 years. You have to bring them into Congress. You have a vote on the contempt and then you detain them. Just as if you were in contempt of court, the judge would detain you. And they’re detained until they comply. 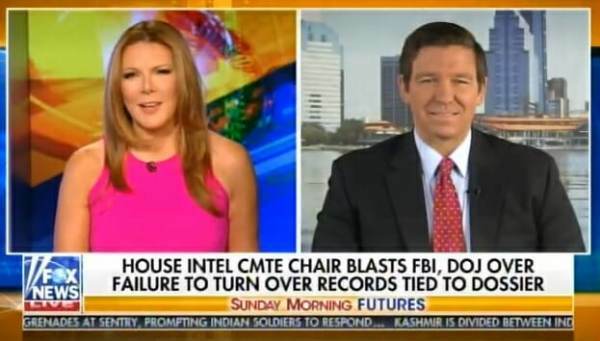 And here is what I predict, if they were put in the House jail for contempt of Congress we’d have the documents within 24 hours.